These enjoyable and flowing Hatha Yoga classes will help you to strengthen and refresh your body and mind. Harmony of breath and movement will help you to ignite the flame of your inner vitality and open your heart to the radiance within. These classes will help you to feel rooted and flowing, energising and relaxed at the same time. These classes are classes of awareness, awareness of your body and awareness of your mind. 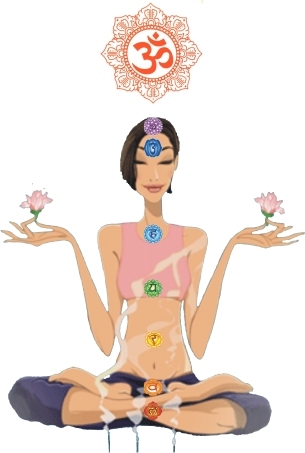 These classes involve Pranyama (breath), Mantras (chants), Mudras (gestures), Asanas (postures). All levels are welcome! Please arrive at least 10 minutes before the start time, especially if it is your first class. It is recommended to wear loose, comfortable clothing (no shoes or socks). It is not recommended to practice with a full stomach (it takes 2 hour to digest a snack and 4 hours for a full meal). at Hendon Methodist Church, The Burroughs, Hendon, NW4 4EH. Please call regarding details 0781 721 2578. Please book your place before coming. This course aims to create a strong and safe foundation for further yoga practice. During this course you will be introduced to basic asanas (postures), breathing and relaxation techniques. Course requires pre-booking. Drop-ins are only if there are spaces. Yoga can help significantly in injury or health related recovery. Private Yoga sessions concentrate exclusively on your needs in a one-on-one environment. Yoga personal training sessions can helpyou in managing health issues, increasing fitness, weight-loss,creating fantastic muscle tone, definition, relaxation and bring many other benefits to your life. Private Yoga sessions take place at your own home or work for your own convenience; they will help to improve your health and well-being. Sessions are adapted to your needs, whether your aims are: relaxation, training for better muscle definition, or power cardio training for improved fitness.Each session has an individual approach, tailored to your circumstances. You can come for an hour a month; or a week. Your yoga program will be worked out whatever your finances and commitments allow. Yoga classes at your workplace can significantly improve the productivity levels of your staff. Healthy workers are not only happier but get sick less often, which in turn supports greater output & financial stability in your business. Each yoga session is tailored to the type of business, to your needs and the needs of your staff. While designing yoga session for your business I am drawing on my yoga experience and knowledge gained during my Masters in Business Psychology at Westminster University. Yoga will help you to feel relaxed, healthy and strong throughout your pregnancy and prepare you for the birth of your baby. The sessions are gentle yet dynamic; they include postures for stamina, for creating more space for the growing baby. You will learn breathing techniques that will help you to relax. The pregnancy classes are a nice way to feel closer to your baby and develop loving bonds. I practised and taught yoga during my all pregnancy. It helped me to stay healthy and well balanced. It also gave me precious knowledge how to teach pregnant ladies. Moreover, training with Tara Lee on pregnancy yoga was very beneficial for the developing my as pre-and postnatal sessions. Pregnancy yoga classes. This classes will help you to stay in good physical health during this special time. You will experience a greater connection with your baby and prepare for birth. These pregnancy yoga classes are also a good way to make friends with other mums-to-be in your area. Family yoga fun. Enjoy yoga with your children! Perfect for all ages and abilities, no yoga experience is necessary. This is a lovely opportunity to enjoy your time together. There will be a lot of fun, joy, games, and stories; and of course Asanas (postures). It's always more fun to do things together, so we will have lots of partner yoga poses and some group activities. We will explore some breathing, relaxation and mindfulness techniques that you and your child can use for a good night sleep or to deal with daily stress. Please keep in mind that it will be nothing like a regular adult class, as it is designed to include kids. Be ready to play! 7 weeks meditation course : This course will involve a few minutes of gentle asanas to activate certain chakras, then we will move to chakra meditation and yoga nidra. The techniques used on this course will help you to overcome your worries, eliminate the stress related disorders, deal with depression, insomnia, digestive disorders. It will help to bring back and boost your life energy.